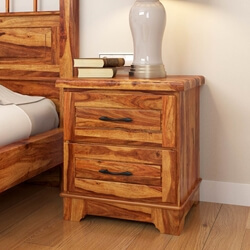 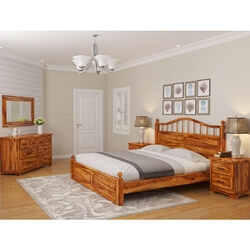 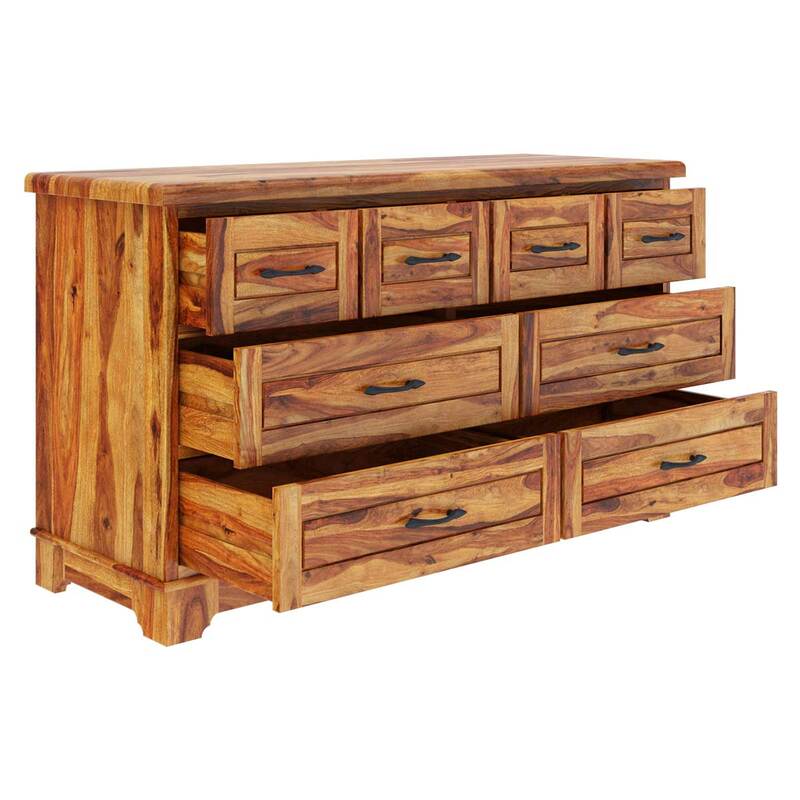 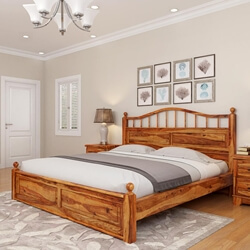 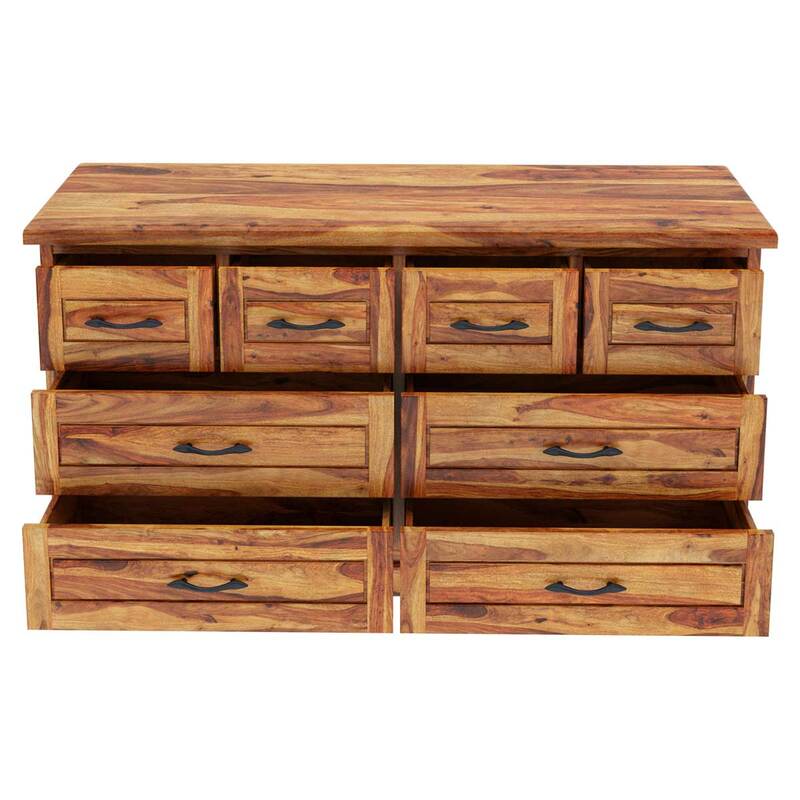 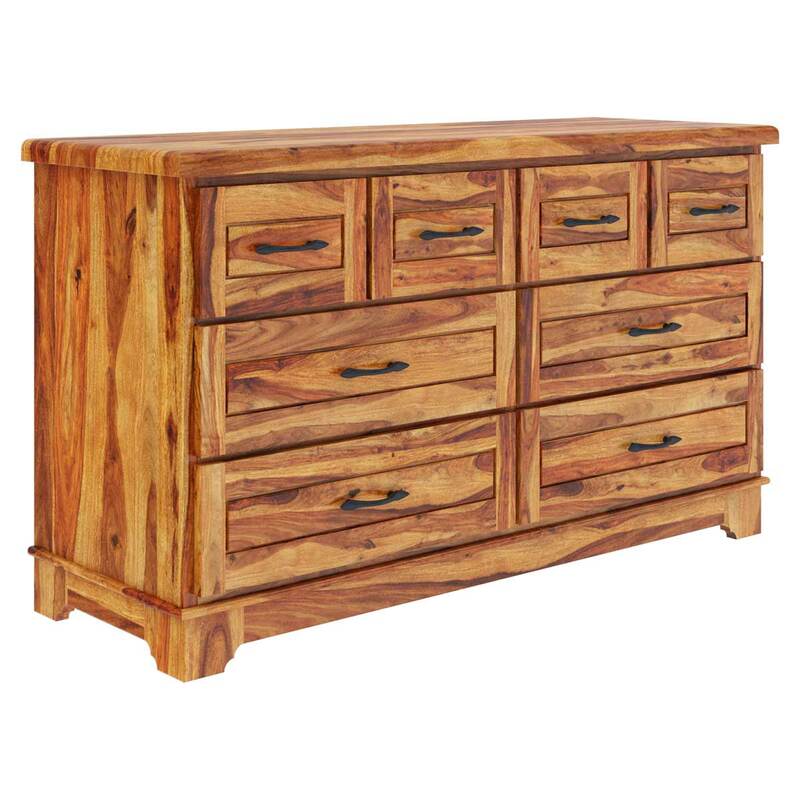 The Colonial Rail Top Solid Wood 8 Drawer Large Rustic Dresser is a lovely companion to other furniture from the same collection providing you with exquisite looks and enough storage space. 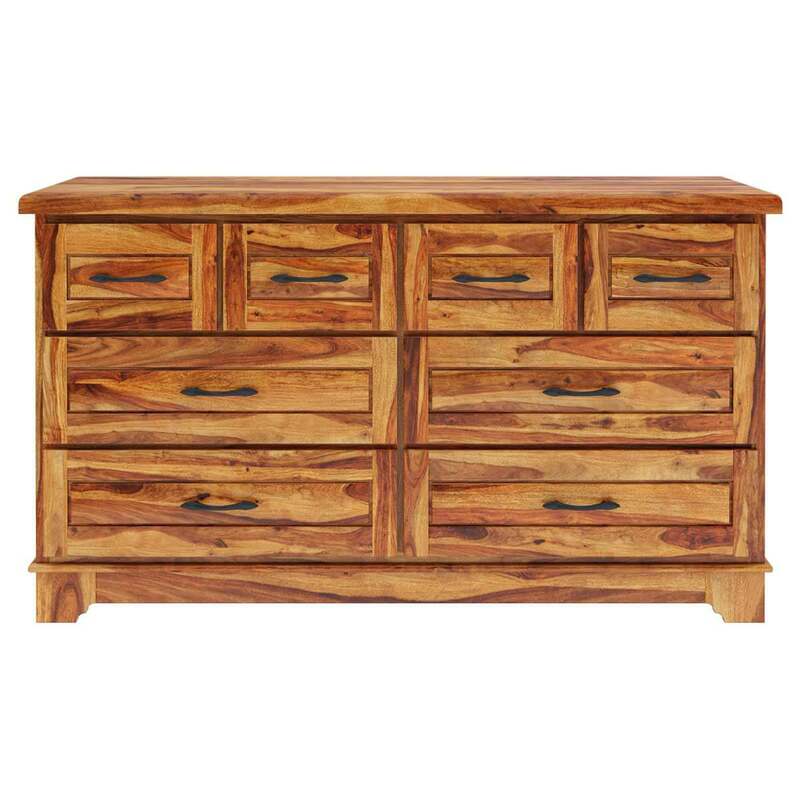 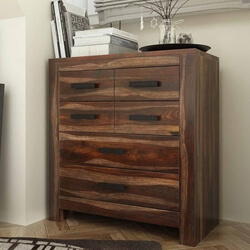 The solid Rosewood dresser chest offers rustic charm through its double toned natural wood grain pattern with hues of beige and deep brown. 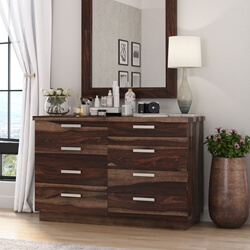 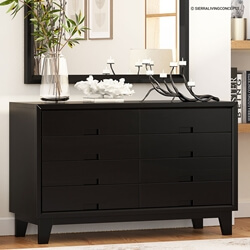 It features four frieze drawers to place vanity essentials and accessories while the 4 bottom large drawers provide plenty of space to put linens or bigger personal stuff. 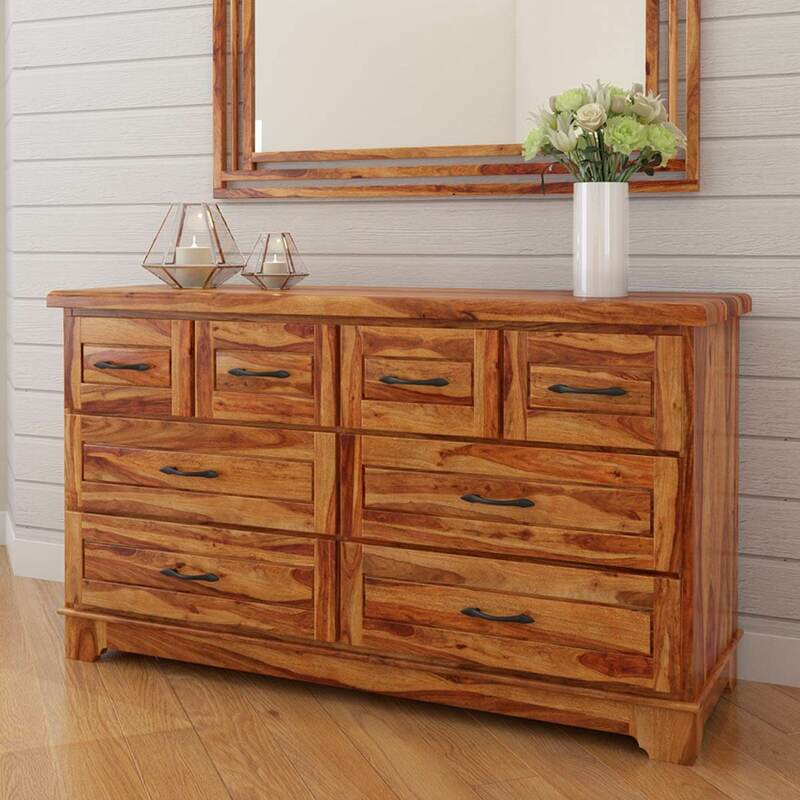 It features clean lines with a rectangular silhouette, ideal for transitional and modern room décor. 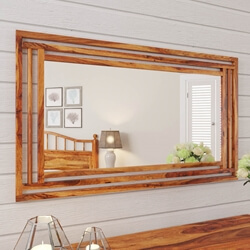 Simply set a rectangular wall mirror and roll out a solid rug under it for a lovely visual appeal. 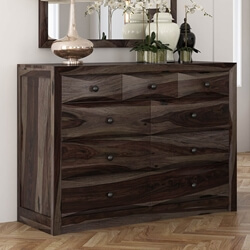 On the top, add a floral flair as you place a ceramic vase with freshly picked lilies or roses. 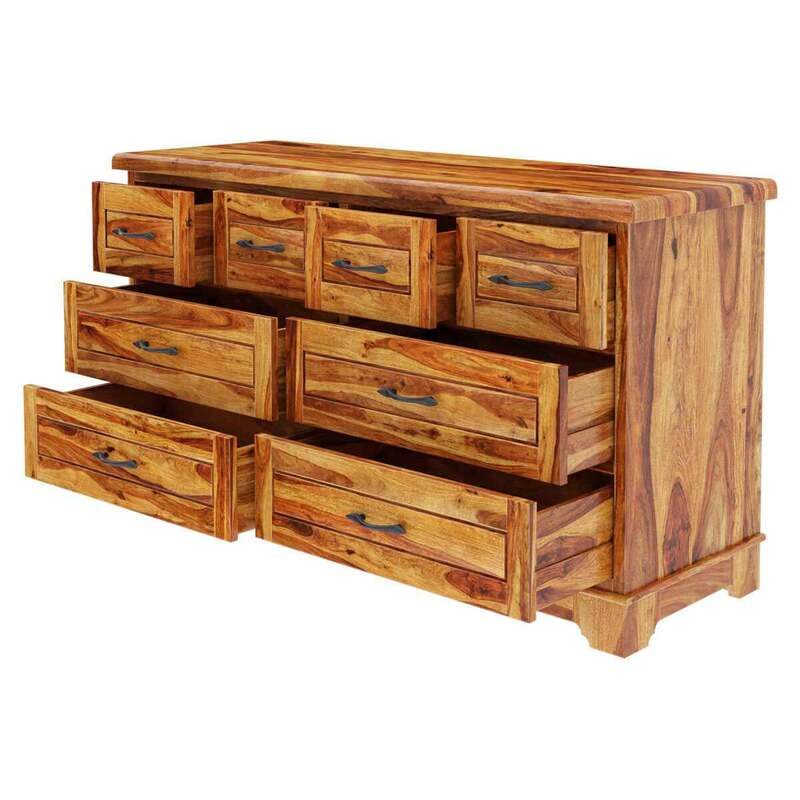 The charming 8 drawer dresser is completely handcrafted from solid Rosewood offering elegance and sturdiness to last generations.